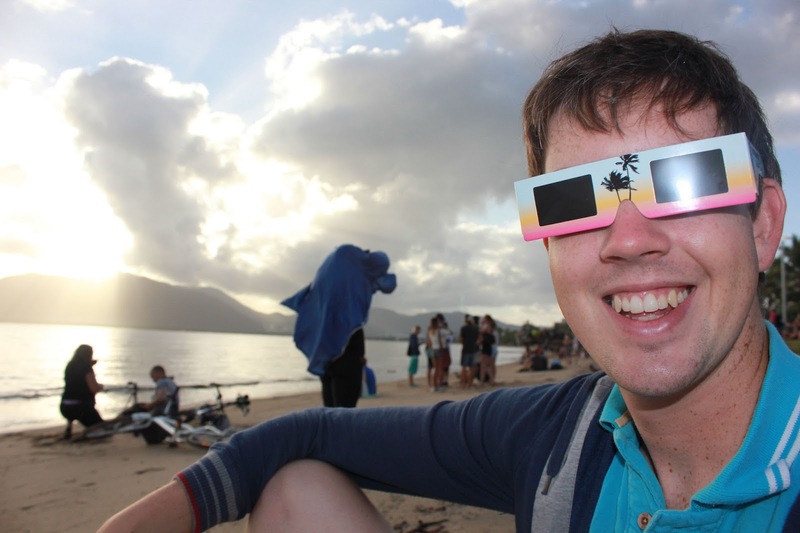 November 14th was the day of the total solar eclipse of tropical north Queensland. The 2012 Cairns eclipse had been a long time coming for me. As a ten year old boy, I stood in a muddy field in England for the total solar eclipse of August 11th 1999 and was thwarted by the weather. The clouds stayed away for some of the partial eclipse but come totality it was too overcast to see anything. The memory that stands out for me though, is the way the landscape around us was plunged into darkness. Cows and birds took shelter, convinced twilight had come early at 11:11am. An eerie silence befell the fields for a couple of minutes before third contact occurred (when the moon moves away from the sun and totality ceases) and daylight resumed. Having bought the t-shirts, caps and planned our family holiday around the eclipse, this was a big deal for ten year old me. A quick Google search for “Baily’s Beads” or “Diamond Ring of eclipse” will better explain my inspiration than words could, and I was naturally disappointed to have been robbed by the weather of my first chance to observe a total eclipse. 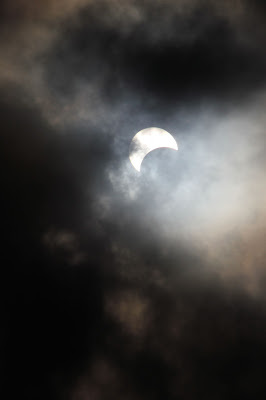 I was, however, hooked on astronomy and relished the chance of witnessing future total eclipses. Being British this meant travelling abroad as the next total solar eclipse in Britain will happen after my 100th birthday. Since my first eclipse experience, I had observed two transits of Venus, given meteor shower tours and obtained my honours degree in Astrophysics. The opportunity to see a total solar eclipse had thus far eluded me, until now. For six weeks Jodie and I had travelled up the East Coast and our trip was to culminate with a well-timed visit to Cairns to coincide with the total solar eclipse. Totality was to last for two minutes and very few people would be lucky enough to be in the right spot to see it. Those in the area were preparing to look up just after 06:30 on the morning of the 14th, with newspapers and local media and tourism getting excited by the rare opportunity – tropical themed eclipse glasses were fairly ubiquitous around Cairns, Port Douglas and the surrounding regions that week. Venus and Saturn would be visible to the west, whilst Mars and Mercury would be in the east. Less than two hours after sunrise, this eclipse would be a fleeting glimpse at nature’s greatest spectacle and everyone was praying the clouds would stay away. We woke at 4:45 and had the bizarre experience of walking through Cairns past the drunks spilling out of clubs, aboriginals, bats scaring birds into squarking obscenely loudly, “warning/achtung crocodiles” signs, locals gathered at the beaches, hundreds of amateur astronomers with their telescopes and the odd pro astronomer. The sun rose behind hills covered in clouds but, tantalisingly, there were breaks and the clouds were all moving quickly. We had no means of transport so could not chase a gap in the clouds easily should one appear, and all morning the weather gods taunted us, clouds forming and breaking in cycles over the path of the sun. We walked as far north as we could for about 30 minutes. Ever since reaching Innisfail a few days earlier on the Greyhound bus (the southernmost point of the path of totality, south of Cairns) my excitement had been building. I had even had an article about the eclipse published in the Cairns Sun newspaper that week! 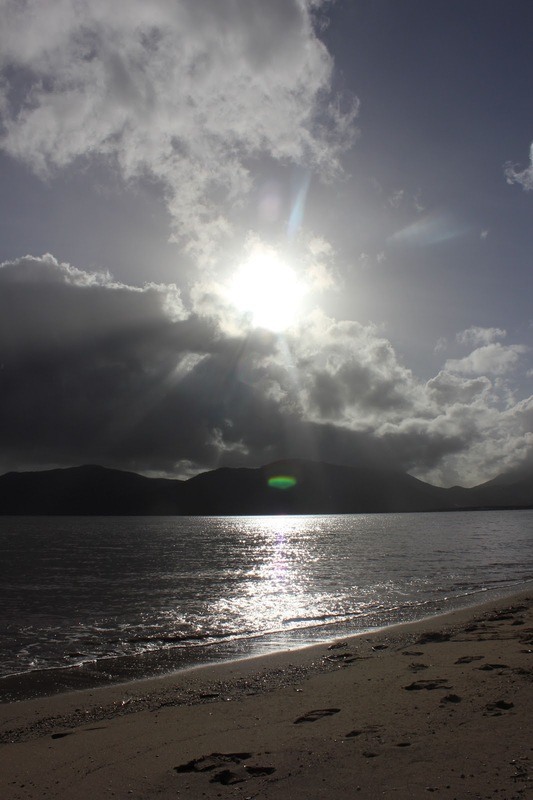 Ideally, we would have had a car, boat, chopper or hot air balloon to chase the gap in the clouds, but we were stranded in cloudy central Cairns with everything crossed. A boat was the best bet and the harbour was full of people with the same idea. The majority of professional astronomers had set up at Port Douglas and the beaches to the north. Ten minutes before totality, a break in the clouds! Sensational stuff – the partial eclipse building up to totality is a stunning, eerie experience as birds and people fall silent and darkness gradually reclaims the land. Like 1999, it was sadly cloudy for totality (0638-0640) but the darkness was incredible. It was so dark – stars and the planet Venus were clearly visible with the naked eye. Seagulls dispersed in a group convinced it was night-time. Then, seconds after third contact and the end of totality, the clouds parted once more and there, for a few magical seconds, we saw it. The diamond ring. Witnessing such a spectacle made everything worth it – I had goosebumps and will never forget it. Apparently, people at the northern beaches saw the whole thing, which shows how close we came, but at least I have a reason to chase future eclipses around the world (the term for an eclipse chaser is an umbraphile). The next Australian eclipse was an annular one, meaning the moon would be slightly too close to us for it to be a total eclipse and would not quite fill the entirety of the Sun’s disc, on May 10th, 2013 in the Brisbane to Cairns region. Daylight resumed and after a bit we walked back south towards the centre of Cairns with our eclipse glasses still on, an hilarious navigational game to play if you ever get a chance. We chatted to two Norwegians who let us use their specially prepared binoculars to observe no less than eight sunspots; at the time, there was a high level of activity in the 11 year cycle. Little did we know, our plans were about to change dramatically, but for now, our East Coast travels were over and it was time to head to Melbourne for new adventures. Captures the raw feeling of excitement and sheer enthusiasm perfectly.